Experts discuss current and future treatment options for what was formerly known as “lone” atrial fibrillation. Cardiology Advisor: Can you say more about the role of lifestyle management and risk factor modification for these patients? Dr Cuculich: Before going into more invasive procedures, aggressive risk factor modification is recognized as an especially effective tool for control of AF. This requires a motivated patient and medical team, but the results can be profound. Typically, this means a 10% weight loss if the patient is obese — a 250-pound man can often find improvement by reaching an achievable goal of 225 pounds. Other behavior changes include limiting alcohol intake to no more than one drink per day, stopping smoking, controlling diabetes and blood pressure, and considering testing for obstructive sleep apnea. Dr Michos: While we are spending a lot of healthcare dollars and resources to manage AF and its recurrence, I think we need to focus on doing a better job in preventing AF from developing in the first place through lifestyle management programs. The best intervention is prevention, and patients should be counseled on preventing AF through a healthy lifestyle. Many known risk factors such as obesity, hypertension, sleep apnea, sedentary lifestyle, inflammation, and poor diet and are associated with both new-onset AF and AF recurrence. In patients who are overweight and undergo catheter ablation, long-term weight loss that is sustained over time has been associated with less recurrence of AF.8 Just telling someone to lose weight is not enough. Similar to cardiac rehabilitation, as with post [myocardial infarction], we need to get patients into supervised exercise programs and weight management programs after catheter ablation. And insurance companies need to recognize that this may be cost saving in the long term and reimburse for nutrition and exercise consults, even in patients without diabetes and vascular disease. Obviously, smoking cessation is also important to prevent recurrence, and sleep apnea is another comorbid condition linked to obesity and associated with a high risk for AF. Treatment for sleep apnea with [continuous positive airway pressure] machines has been shown to prevent AF recurrence after cardioversion or AF ablation. [In addition], treating high blood pressure reduces the risk for AF and can reduce the risk for stroke by half, especially in patients [who have had a myocardial infarction] or have heart failure. 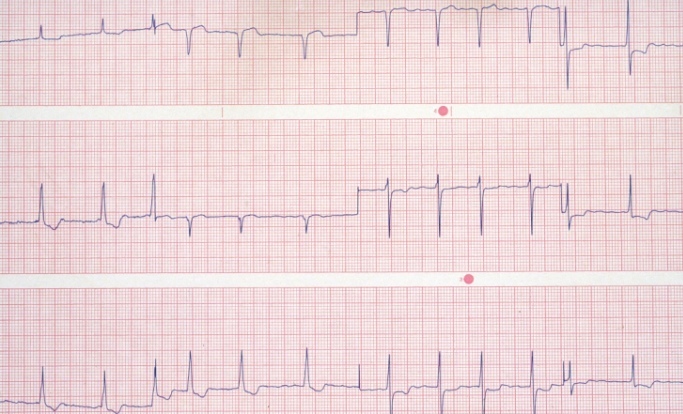 Cardiology Advisor: What are remaining treatment options for such patients when AF continues to recur despite medication and catheter ablation? Dr Cuculich: After the modifiable risks are addressed, there are several technological advances that impact the success of the treatment plan. Invasive treatment plans can be thought of on a spectrum, with catheter ablation being the least invasive and open cardiac surgery — the Cox-Maze procedure — being the most invasive. Over the past 5 years in particular, there have been several high-impact improvements to catheter ablation that seem to be positively related to improved outcomes. For example, we now routinely use catheters with tiny force-sensors embedded on the tip, which allows a doctor to adjust the catheter to deliver a precise force to achieve a successful ablation.